Our garden gates are made using high quality timber. We will visit you and provide a free site survey for the installation or replacement of a garden gate. Standard sized gates (widths of 2'6", 3',0" and 3'6") in a variety of styles can be installed with all the gate furniture required. 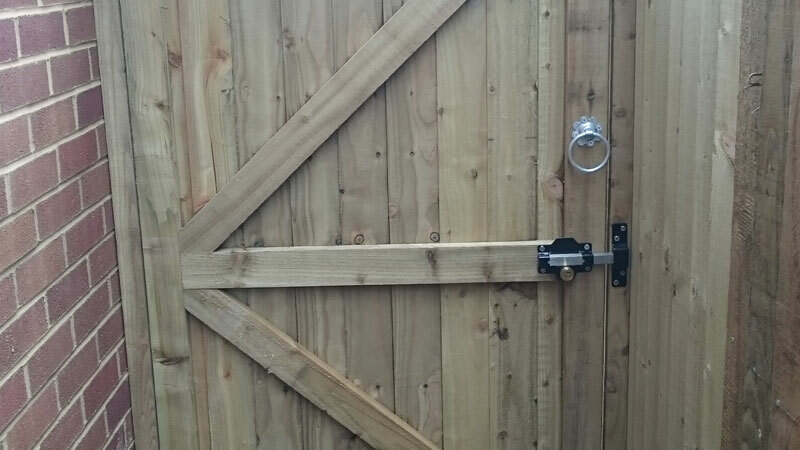 Should your gate be a non-standard size, we can measure up and build a bespoke gate to your exact requirements using high quality timber material. Field gates provide the perfect solution for properties with a driveway that require a that little bit extra security. 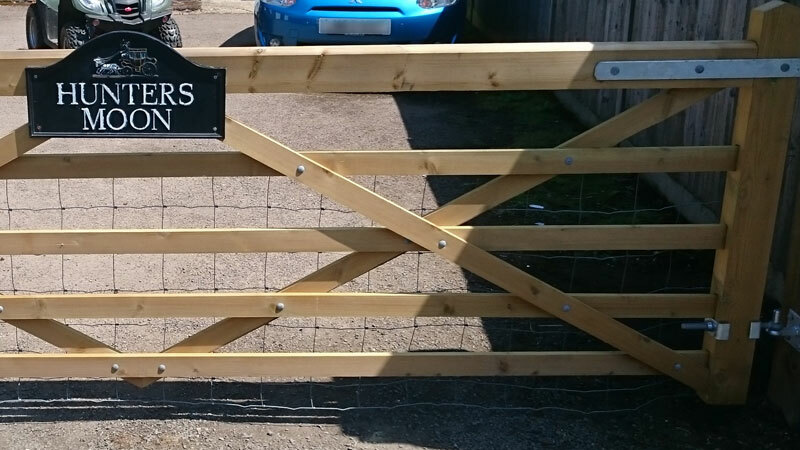 Using a range of sizes as a single or pair of gates, we can build the right solution for your property. With dug in concrete posts and adjustable gate furniture, your fence will be hung perfectly and can come in a range of styles. Adjacent pedestrian gates can also allow for easy access on foot.